A podium finish for Andreas Mikkelsen/Anders Jæger and a second C3 WRC in the top five thanks to the efforts of Craig Breen/Scott Martin: in Germany, the Citroën Total Abu Dhabi WRT met the targets set by Yves Matton before the start. 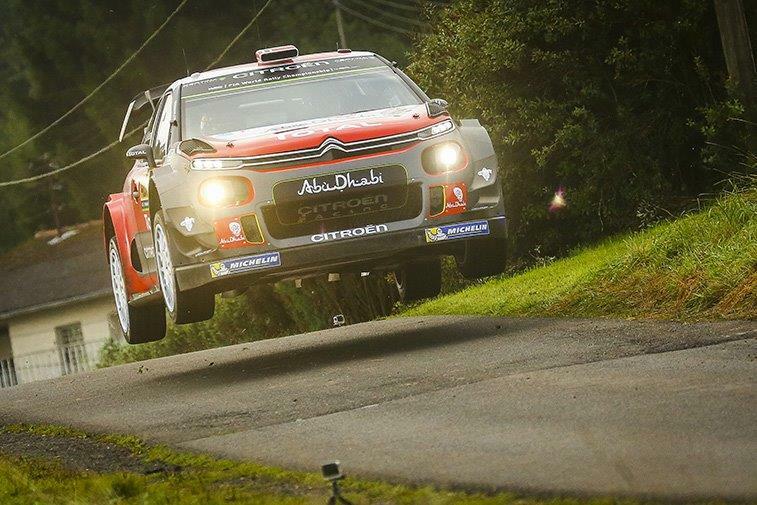 The ADAC Rallye Deutschland began on Thursday evening with a super special stage held in the streets of Sarrebruck. On a course unsuited to the wide World Rally Cars, Kris Meeke was the evening's biggest casualty. The Northern Irishman was forced to stop after hitting a concrete wall and breaking the steering. He was able to rejoin the next day under Rally2 rules, but with the disadvantage of a ten-minute penalty. Friday's opening leg was mainly held on steep roads winding through the Mosel vineyards. Despite being well down the running order, Andreas Mikkelsen immediately joined the fight for the lead. The Norwegian then claimed a stage win on SS4 to move into the overall lead. 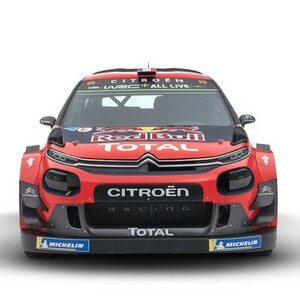 On Saturday, the Citroën Racing Team tackled stages held in the Baumholder military base. On the first run on the famous Panzerplatte stage, Mikkelsen lost ground to Tänak due to an overly conservative tyre choice. Andreas then made a few minor mistakes, enabling Sébastien Ogier to narrow the gap behind him! Just four short stages remained on Sunday to finalise the standings. Still pushing hard, Mikkelsen moved clear of Ogier… whilst closing slightly on Tänak. 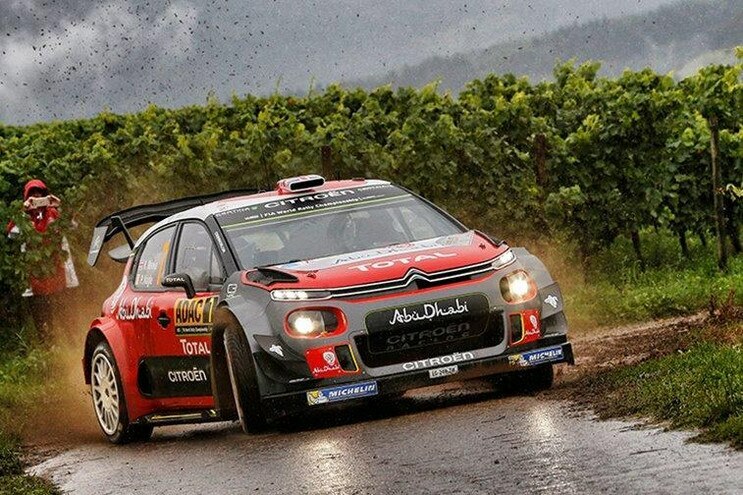 The positions remained unchanged for the rest of the rally, however, meaning the no.9 C3 WRC secured second place. Meanwhile, Craig Breen went on a final day charge, closing fast on Elfyn Evans. He edged ahead of his rival on the Power Stage to add to his ever-expanding collection of fifth-place finishes!